Thaye Dorje, His Holiness the 17th Karmapa, asks his students to continue in prayer for the swift rebirth of Shamar Rinpoche. On the 3rd anniversary of Sharmapa’s parinirvana, Gyalwa Karmapa reminds us that the example and spiritual teachings of Shamarpa’s birth, life and passing are teachings of great compassion and wisdom. We have been documenting life of Thaye Dorje, the 17th Karmapa since 1994. KDP is a non profit organization, based on volunteer work. 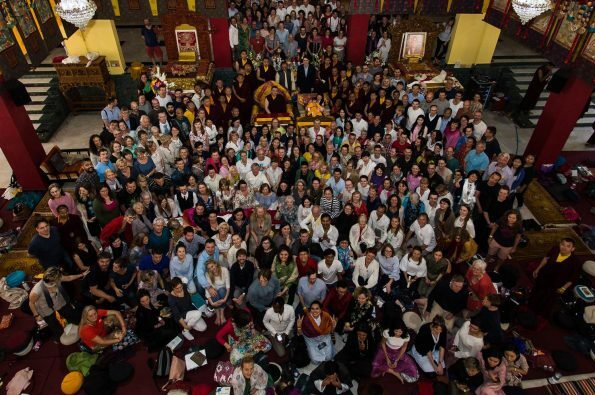 We introduce reports and articles from vast activities of the 17th Karmapa as well as present Karmapa gallery from all major events from Karmapa’s Life.